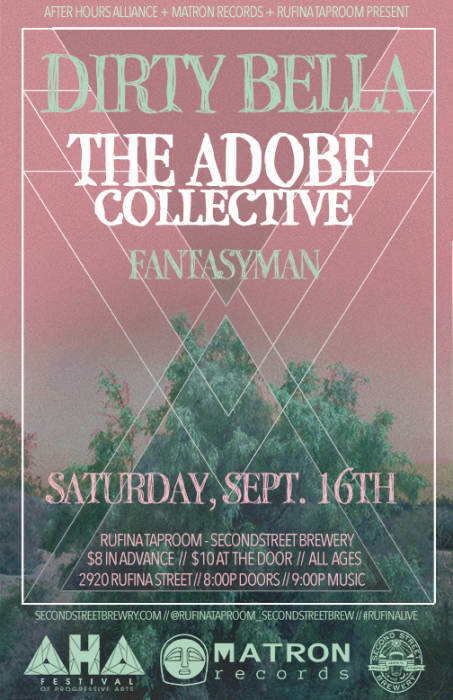 An AHA Festival Pre-Show at Second Street Brewery's Rufina Taproom featuring performances by Dirty Bella, The Adobe Collective & FANTASYMAN. 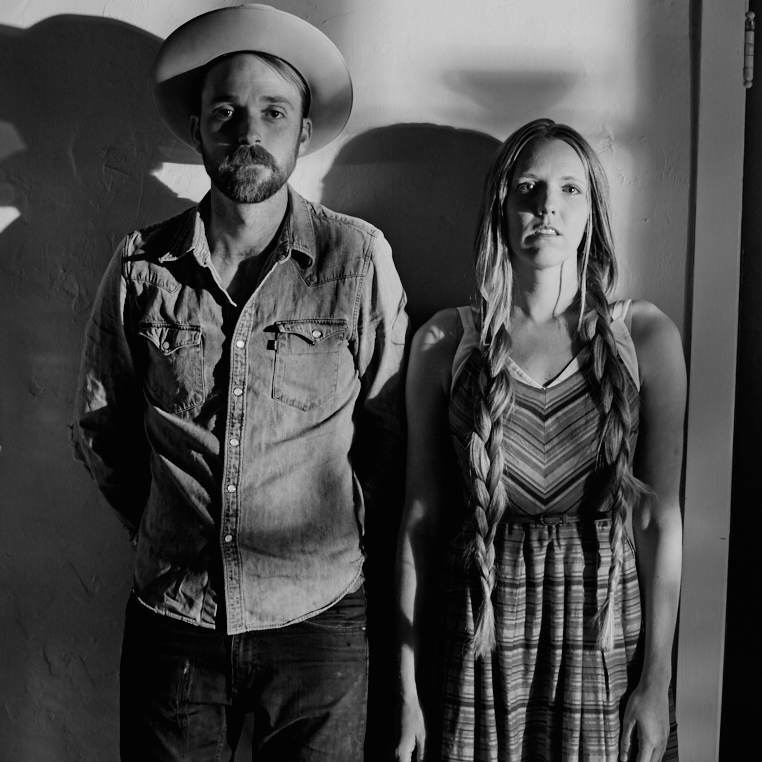 The Adobe Collective is a musical project founded by husband and wife duo Tim & Faith Chinnock. The project is based in 29 Palms, CA which is in a corner of the Mojave desert of Southern California just outside of Joshua Tree. Tim and Faith have been lovers since they were kids, and it is clear in the way their voices meld together, at times indistinguishable from one another. Their latest album Take Heart, Take Care is a product of daily life in the desert tempered by serious time in the recording studio. The album was recorded at High Lonesome Studio in Joshua Tree and while rooted in roots/folk sensibility with a focus on lush vocal harmonies, there are also elements of country, rock, and even brief forays into psychedelia. This album, along with well-attended local shows, has brought the group some local attention. They have been mentioned in Desert Magazine, Palm Springs Life Magazine, and were twice featured in Coachella Valley Weekly. In addition, the album was nominated for Best Unsigned Album of the Year by Coachella Valley Weekly, and included in The Desert Sun newspaper’s list of 20 Albums to Discover the High Desert Sound alongside artists like Gram Parsons, Queens of the Stone Age, and Cracker. 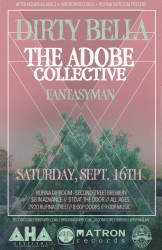 The Adobe Collective's live show is a mix of heartfelt lyrics, powerful dynamic twists, and moments of rollicking joy! Guitarist Chris Unck (Butch Walker and the Black Roses, Telstar) brings grit and heart, Bassist Spencer Keizer (The Renderers, and more) is full of love and vibes, and Drummer Caleb Winn (State Bird, Pappy& Harriet's Sunday Band, and others) keeps the music moving. The group is hard at work on a third album and plans to complete recording this year. Conceived in December of 2016 through a recording session at Frogville, Dirty Bella is a high-energy, three-piece, psychedelic instrumental fuzztronica cabal from Santa Fe, NM. Brian Haas (keyboards), Ross Hamlin (strings) and Mikey Chavez (beats) merge their eclectic aesthetics with modern and vintage electro-textures into a dizzying, yet divinely danceable, sound. This night marks their inaugural performance. FANTASYMAN is the newest project of Santa Fe's Ben Tempchin (Bodies, Grove of Baal, Raven’s Lung in Aspen) and features the creative input of Ben Montgomery (Bellzilla, Young Harvel, Dr. Rock), Alex Neville (Catahoula Curse, The Proxemics), and Will Dyar (Host Skull, The Visitors, Sin Estrellas). FANTASY, MAN brings us on a journey through a landscape of suddenly shifting \ the teacup of lush clouds in soft \ light and the jagged teeth of smooth jazz at dawn \ FANTASY, MAN?